Ryobi drills are renowned for their quality, which is why this particular range of Ryobi ONE+ drills are definitely worth looking at. With their long-lasting Ryobi lithium-ion batteries and variety of capabilities, these really are brilliant DIY tools for all your drilling and driving needs. Ryobi drill drivers offer 45Nm of torque, which is powerful enough for tougher wood and metal applications. 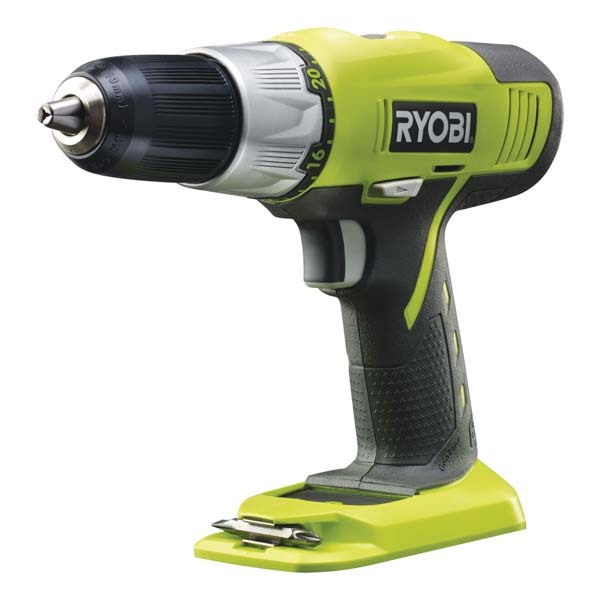 These are available with or without a battery or charger or as a bundle, such as the Ryobi ONE+ RCDRID-2BC13 18V Cordless Drill/Driver & Impact Driver kit. A Ryobi cordless drill driver is not only portable but perfect for jobs of all sizes around your home. With a variety of torque settings, a reverse setting, variable speeds and a larger 13mm chuck, you will have the flexibility to take care of just about any DIY work. What’s more, these drills are part of the ONE+ range, meaning that they use the same powerful lithium-ion batteries as other Ryobi power tools. So, you can build a diverse collection of tools without spending extra on numerous batteries and chargers. When you purchase Ryobi One Plus drills, or a Ryobi One drill and impact driver set, you can be reassured that you’re getting the quality that comes from a well-known brand. You will also have the peace of mind of purchasing from a trusted retailer. At SGS Engineering we’re committed to bringing you the best in Ryobi drills, along with workwear and any other power tools you require. 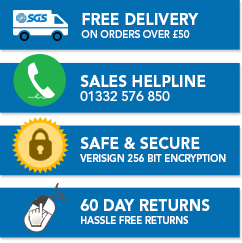 With this in mind, we offer a 60-day returns policy and free delivery on orders over £50. Our products are designed for both home enthusiasts and professionals, so you can be sure that when you buy a Ryobi cordless drill from us you will be able to do so with confidence.